The Hero Karizma ZMR has been re-introduced in Hero MotoCorp’s lineup, the price of the re-launched Hero Karizma ZMR is Rs 1.08 lakh for the single colour scheme variant and Rs 1.10 lakh for the dual-tone colour scheme variant (all prices ex-showroom, Delhi). Hero had stopped selling the bike in India last year following the implementation of BS-IV compliant emission norms, it was being exported and sold in international markets. The bike maker has always been manufacturing the Karizma for overseas sales and despite the fact that the bike was no longer listed on the official website, interested customers could buy one on order. As we understand it, it’s a rise in customer demand that has compelled the company to re-list the motorcycle on its website. Apart from an update to BS-IV regulations, the bike is otherwise the bike gets new colur scheme. In terms of changes, the only change that the motorcycle gets is a BS-IV compliant engine. Mechanically and aesthetically, the Karizma ZMR remains identical to what it was one and a half year ago when the sales stopped . It gets the same fully faired bodywork, clip-on handlebars and split-seat. 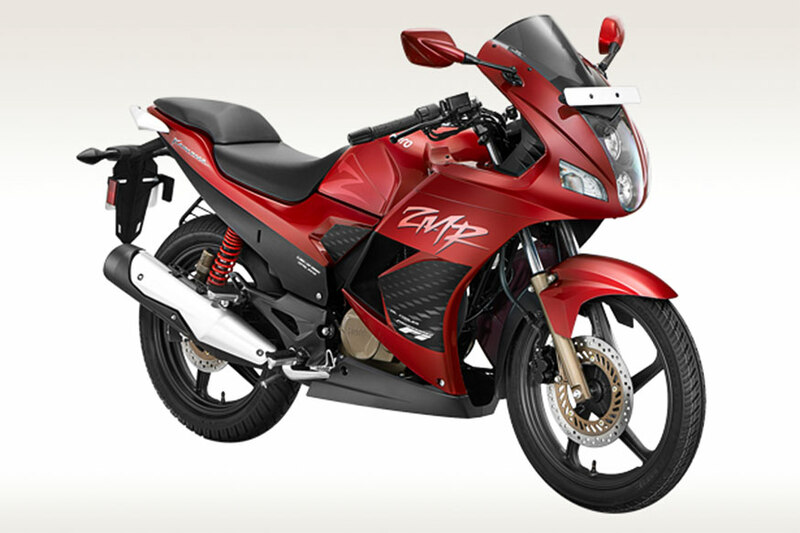 The ZMR uses the same 223cc, air-cooled, single-cylinder motor that makes 20.2hp and 19.7Nm of torque. This engine is paired to a five-speed gearbox. The bike rides on a conventional fork and twin rear shock absorbers. Kerb weight is pegged at 157kg and fuel tank capacity is 15.3 litres. As this is not a new product launch, it is not required (as per the current regulations) to feature ABS. The Karizma ZMR does feel a bit outdated when compared to its newest rivals, and this could be because of Hero’s shift towards the commuter segment as well as new products like the Xtreme 200R. The top-spec TVS Apache RTR 200 4V Race Edition 2.0 will cost you Rs 1.07 lakh and that will get you features like a slipper clutch and ABS. And then there’s the Bajaj Pulsar RS200 at Rs 1.25 lakh (all prices, ex-showroom, Delhi) which is also fully faired, has more features and makes more power.